The Vasindux Home PEMF therapy mat is among the most advanced PEMF systems available. 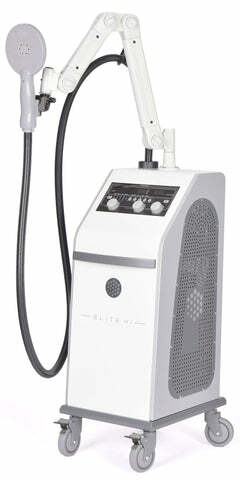 This PEMF device offers low intensity PEMF therapy which scientific research has shown to produce the best results when used consistently over time. Below, you will find the specifications as they apply to the Vasindux Home PEMF mat. The Vasindux Home uses frequencies that are well within the harmonic range. The Vasindux Home offers easy to use settings to aid in selecting the therapy program that is right for you. The Vasindux Home PEMF therapy mat offers 6 preset programs, allowing you to choose the optimal program and length of time you wish to use the device. It also has a adjustable intensity settings that allows the user to set an appropriate intensity. The Vasindux Home full body mat allows for the magnetic field to target the entire body. With 8 PEMF coils, the Vasindux Home contains more than the industry standard of 6 coils. This helps to provide a more even distribution over the entire body. The Vasindux Home PEMF mat has a maximum intensity of 50 Microtesla depending upon the settings and programs you choose. The intensity level can be adjusted by the user for optimal performance. The user has the option to select from 9 intensity levels to customize their therapy session. The Vasindux Home offers a sinusoidal waveform. Research studies and clinical trials have shown that this among other waveforms, is one of the most effective for energizing cells and creating a healing environment using the bodies natural processes. The Vasindux Home PEMF mat, offers advanced features for full body therapy at an exceptional value. The full body mat is $1,195.00. Additional accessories of a mini mat and ring are available for this system. PEMF Supply offers easy payment plans. The Vasindux Home PEMF mat emits a pulsed electromagnetic field (PEMF therapy) to the body. The therapy at its core is essentially the same as the majority of brands, but the Vasindux Home offers features and gives the user the option to take control of their therapy session easily from home. The Vasindux Home PEMF mat provides an easy-to-use, safe and effective PEMF Therapy solution at an affordable price point. All information provided on this page regarding the Vasindux Home PEMF Therapy product, is current as of the time of this writing, based upon information from the manufacturer. You may visit the Vasindux Home product page here.